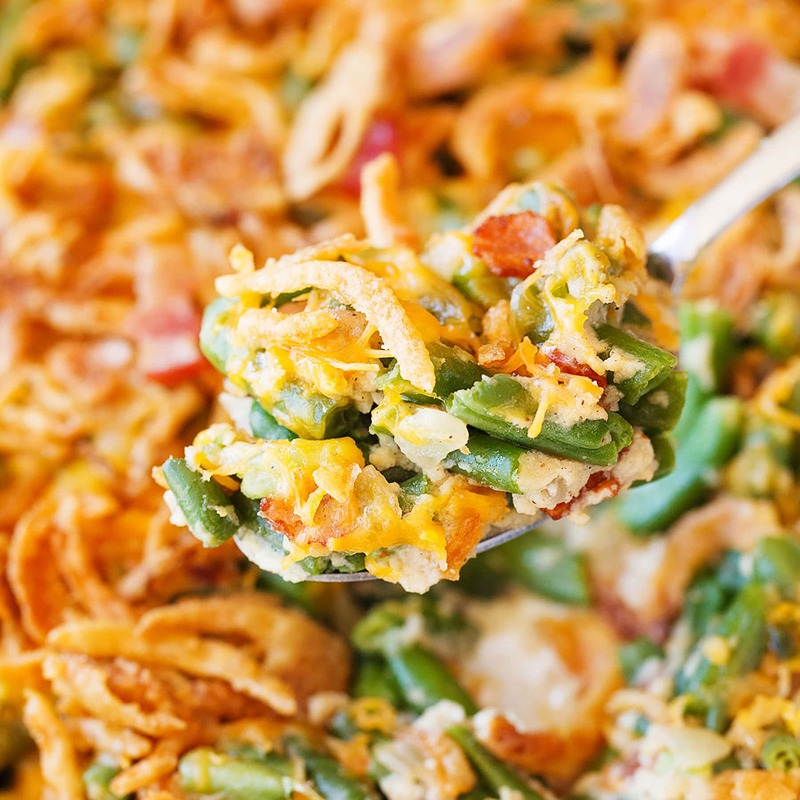 Cheesy Green Bean Casserole with Bacon is bursting with so many mouthwatering savory flavors, you'll never want make regular green bean casserole again! Best of all, there's no canned condensed soup! 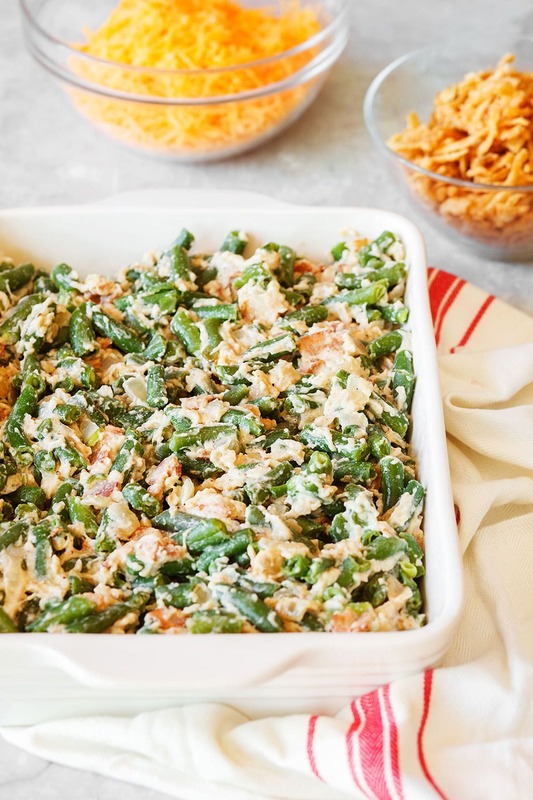 Taste: Green Bean Casserole on steroids. 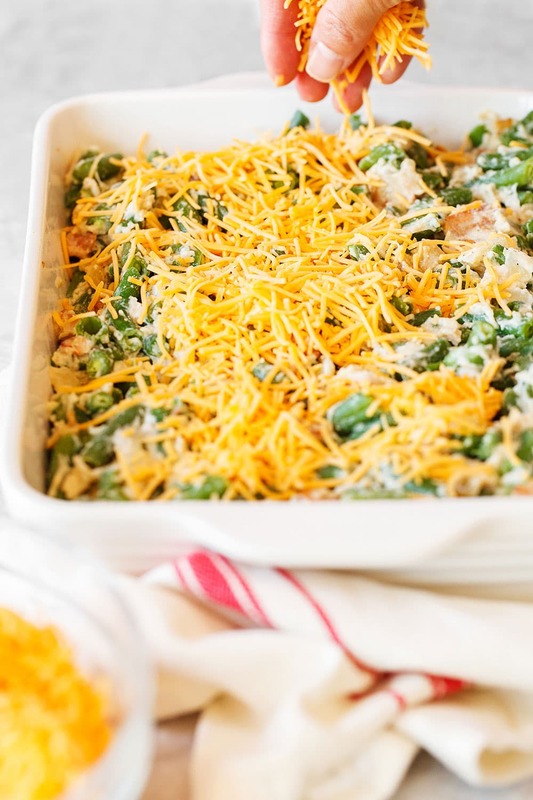 The addition of cheese and bacon PLUS the fact that the extra creamy sauce is homemade instead of that canned condensed stuff AND we’re using fresher frozen green beans just takes this casserole to a whole other level of deliciousness. Texture: Creamy, crisp, crunchy, cheesy, satisfying. Ease: Pretty darn easy, though it is a bit more work than if we were just using condensed milk and no bacon. You can refrigerate the unbaked, untopped casserole for a couple days if you want to make ahead for Thanksgiving. Appearance: Mouthwatering. Who wouldn’t want this on their holiday table? Pros: So much more fun and tasty that regular green bean casserole. Would I make this again? Every holiday season. It’s officially one of the most delicious months of the year! Between November and December, I really can’t choose which has the best food. Not just holiday food, but rich, hearty, soul-warming soups and stews and decadent candies, cookies, and pies. YES. So excited. These are also the months that draw people into Phoenix because the weather is just so gloriously mild. November also means the return of snowbirds from the midwest, which really just means more traffic on the roads. It’s a small price to pay for the best time of the year. I get giddy just thinking about it! Of course, November in the U.S. means Thanksgiving. 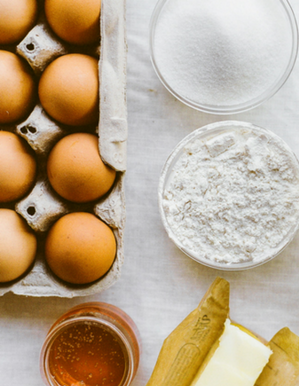 And Thanksgiving means lots and lots of recipes, which makes it a great month for a food blogger! This homemade Cheesy Green Bean Casserole with Bacon has become a T-day staple for me. The fact that there are no canned ingredients in this recipe really just brightens and intensifies all the natural flavors and elevates the entire dish. I will admit that the fried onions on top are not homemade and I did not find any suitable fresher alternatives, so that is the only pre-made store-bought element of the dish. But what would green bean casserole at Thanksgiving be without those onions?! The entire dish is so scrumptious, savory, creamy, crunchy, and magnificent. It’s Thanksgiving perfection. This post was recently updated with new photos by Patty Kraikittikun-Phuong. In a medium skillet set over medium heat, add the bacon. Cook, stirring often, until most of the fat has rendered and the bacon is beginning to crisp. Add the onions and cook until soft and translucent, about 4 minutes. Add the garlic and cook for 1 minute, stirring. Remove the mixture to a paper towel-lined plate. Sprinkle the flour over the bacon drippings and whisk to combine. Cook for 1 minute, whisking constantly. Gradually whisk in the milk then add the sour cream and bacon mixture. Stir until the mixture has thickened to gravy consistency. Remove from heat and season with black pepper to taste. In a large bowl combine the bacon mixture with the green beans, tossing to coat. 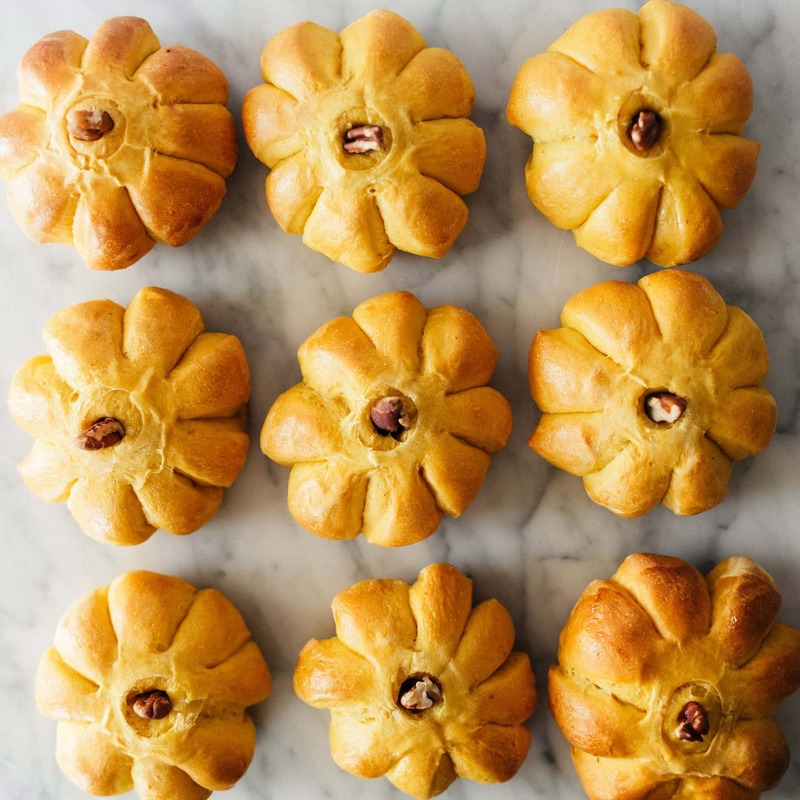 Spread evenly among a greased 9 by 13-inch baking pan. At this point you can cover and refrigerate the unbaked, untopped casserole for up to 2 days. Top with shredded cheese and fried onions. Bake for 30 minutes, or until golden brown. YES to this being one of the most delicious months! SO. Pumped. 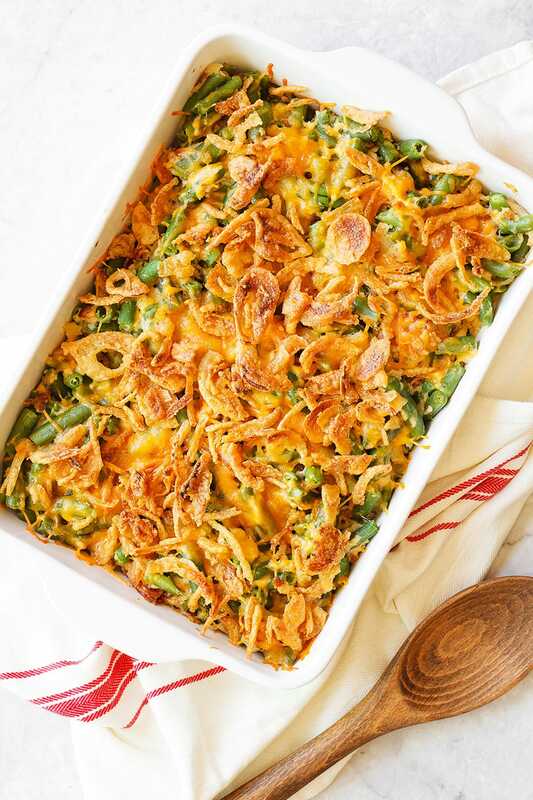 Can you believe have never had green bean casserole? But, with no canned ingredients and BACON, I think yours is the best way to jump in! Pinned! I love that you added bacon to this, YUM! 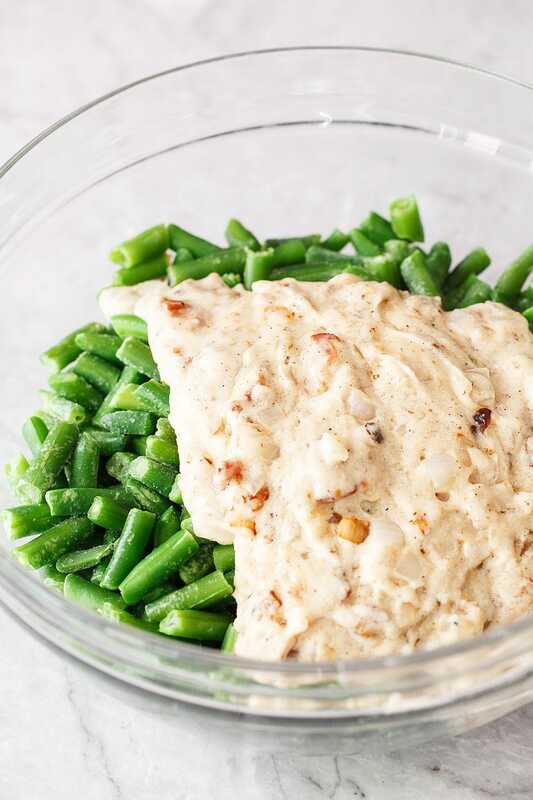 Can I use French cut green beans in this recipe instead of regular green beans? The family is used to that and would like the substitution. Seems like a no-brainer, but thought that I would ask. Thanks! All set to cook. I hope it would be that yummy as it is stated! I would boil the fresh green beans until crisp tender, about 3 minutes, then rinse under cold water and let cool while you proceed with the recipe. I love that there is no condensed cream soup in this recipe! I am anxious to try it! 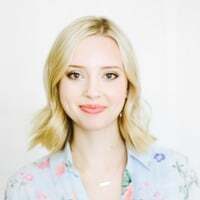 I hate when people review recipes w their changes so I feel especially guilty asking the following: Can I substiture the bacon with pancetta & cheddar with mozzarella? The recipe as is sounds amazing, just trying to make it gel with my more Italian/rustic sides. Thanks! This sounds delicious! I, too, would like to use fresh green beans. Any idea how to convert?? I would boil the fresh green beans until crisp tender, about 3 minutes, then rinse under cold water and let cool while you proceed with the recipe. Happy Thanksgiving! I need to double this. I’m feeding 12-15 people. Don’t want to use another recipe! Want the proportions right. Help! You should be fine just doubling all the ingredients! Casseroles are pretty forgiving so there’s no special math involved there. 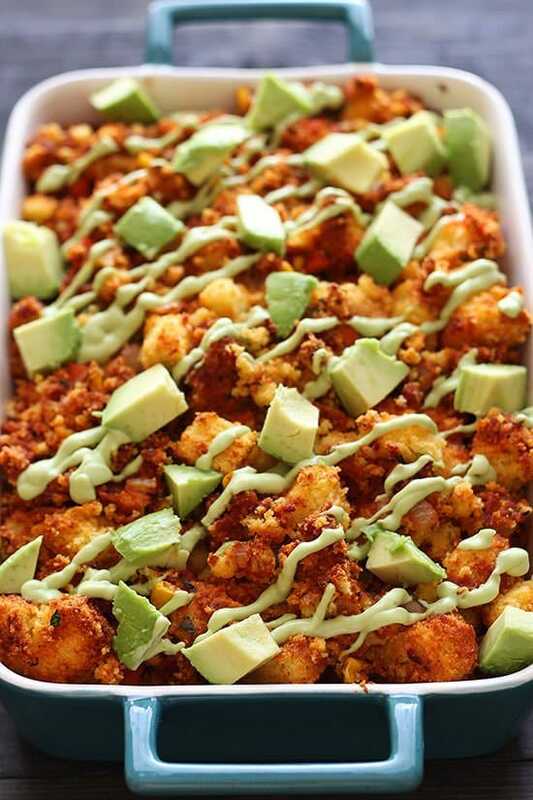 You’ll probably need to use two 9×13 baking dishes since I’m guessing you don’t have a massive casserole dish. I made this last week for the Office Pot Luck. Every morsel was eaten by my co workers!! I’m going to make again for my family Thanksgiving. I do have a question though. The first time I made it there wasn’t very much fat left from the bacon. Can I add butter to the pan so the flour has something to mix with? Thank you! And I love your blog. Oh wonderful! Happy to hear that. Yes you can definitely add some butter if there’s not enough bacon grease. Happy Thanksgiving! It sounds delicious. I am going to make this for Thanksgiving! I am curious if it will be ok to use Almond milk instead of whole milk? I haven’t tried but generally using almond milk in such a way will produce a more runny, thin result instead of bring thick and luscious as Amber mentioned. Since the recipe already has cheese and sour cream I would say to stick with whole milk (dairy) if possible for best results. I would not substitute almond milk for whole. Almond milk will not act as a thickening agent and it will stay runny. Ever made pudding with almond milk? It never sets! This is a fantastic dish. A big hit at Thanksgiving among lifelong connoisseurs of the green bean casserole dish. I agree with what Tessa said above–casseroles are very forgiving when it comes to ingredient proportions. I went a little nuts on the sour cream, to good effect. Wonderful! Thanks for your comment. Made this last night for my Thanksgiving dinner party, it was a big hit. Used fresh green beans instead and omitted the cheese. Very flavorful and got a lot of compliments. Will definitely be making again. 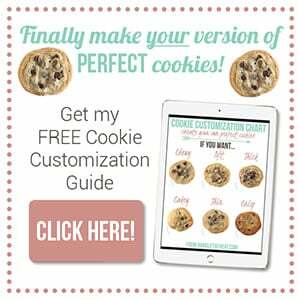 I tried this recipe-it was very good! Thank you for sharing 🙂 I will definitely be making it again on Christmas Eve. Can I add fresh cut mushrooms with the onion? You can add in whatever you’d like! How do you think this would work in a crock pot? I’m going to be tight on oven space so I was thinking of putting this in a crockpot on low for a couple hours and then about a half hour before serving top with cheese and sprinkle on the fried onions. I was also thinking to toast up the onions in a dry skillet before topping the green beans just to ensure they are warm and crisp. Sounds like it would work but I’ve never tried so I can’t be sure. Just found this and made a trial batch before making the whole batch for Thanksgiving. So many people are tired of canned condensed soup. This recipe tastes phenomenal! The only thing I changed was using fresh trimmed haricot verts and just blanched them in hot water for 2 minutes then rinsed in cold water. I’d be leary about switching the cheese, unless it’s one that melts like cheddar. Fantastic! Thanks! This is the BEST green bean casserole I have ever had! I made it for Thanksgiving and received so many compliments. I was even eating it reheated for days after the holiday. I forgot to save the recipe so I just spent the last 45 mins searching the internet for the exact recipe I used at Thanksgiving because I am going to make it again with our Christmas Prime Rib! So glad I found it again, thanks for sharing your recipe! Green Bean Casserole resurrected! I honestly considered not even serving green beans this year until I found your recipe. I’m not a fan of the condensed soup version, all though it’s often requested and I’m tired of boring green beans w/slivered almonds. So thanks for getting me super excited over GREEN BEANS again! Quick question, would heavy cream be an okay substitute for the whole milk, and if so should I use more or less? Thanks so much! Can I make this in a crockpot? If so, would there be any differences? Any recommendations on adding mushrooms to it? I second the question about the mushrooms? What anout canned green beans? Run the recipe the same? This recipe sounds amazing! Do you think I would be able to pre-cook and assemble casserole tonight and just bake tomorrow? Or would that ruin everything? Thanks!!!! I’m doing that. It’s in the fridge now. The directions say it will keep uncooked up to two days in refrigerator. This was a big hit at Thanksgiving, very fresh tasting! Everyone is requesting this for Christmas also! The only thing I will do different is leave out some of the green beans because I prefer more creaminess in my casserole, but to each her own and I wouldn’t change anything else! Thanks a bunch! Trying to make my sides ahead for Christmas. Do you think this could be frozen and cooked the day off? Or should I cook it now and then freeze and simply reheat the day off? Hi! Has anyone tried this in a crockpot? If so, how long did you cook it for? Thanks. Can you use packaged bacon bits instead of fresh bacon? Recipe sounds so good. Will try for Thanksgiving. Can I make this a day or 2 in advance? Has anyone used canned green beans for this recipe? If so, just follow the ounces recommendations? Do I have to u freeze green beans? 1st time trying this recipe. I’m not baking this today, so I followed the “make ahead directions” a few hrs ago. I just reread the recipe…OH NO!!! I didn’t see the note below the recipe that states “fresh green beans should be boiled 3 min”. I can’t believe I missed this! Are the green beans going to be too crunchy now? Is there anything I can do to salvage my err? I supposed I can pick them all out, but that seems tedious. 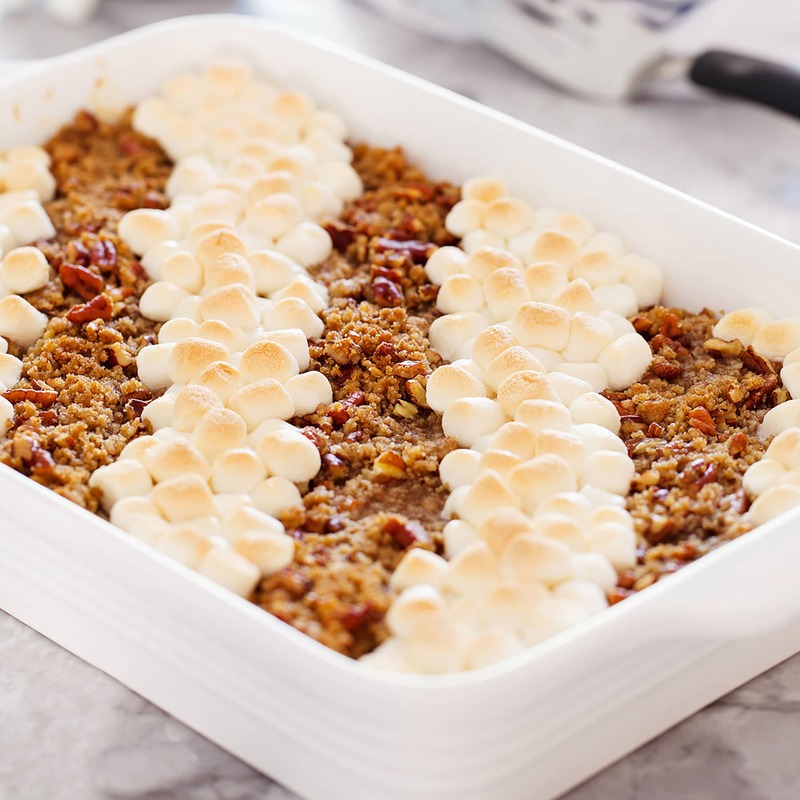 My family loves this recipe and requests it every Thanksgiving! Thanks so much! Hi there, If using frozen green beans do I need to defrost them first or just mix them in straight out from the freezer? Thanks! Delicious! I made this recipe for Thanksgiving and will make it again for Christmas. My family LOVES bacon so I will double the bacon for Christmas! This is the verry best casserole EVER!